If you’ve ever shopped for home decor fabric or furniture, you may have run across the term ‘contract’ in reference to particular items. What does it mean? While many companies specialize in either residential or commercial products, some manufacturers make both. ‘Contract design’ refers to design of commercial spaces. So, when you see fabrics, furnishings or accessories labelled ‘contract’ they were designed for the commercial design market. Although these items may have been intended for use in hotels, doctor’s offices, lobbies and restaurants, that doesn’t mean you can’t use them in your home. 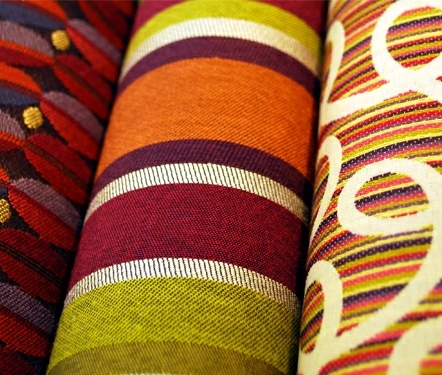 In fact, using contract fabrics can be a great way to find some unique designs in very durable textiles. Some contract fabrics, for example, are made to resist fading due to sun exposure or cleaning with bleach. Others withstand an amazing amount of abuse, making them great for high-use spaces like children’s playrooms, kitchens or family rooms. 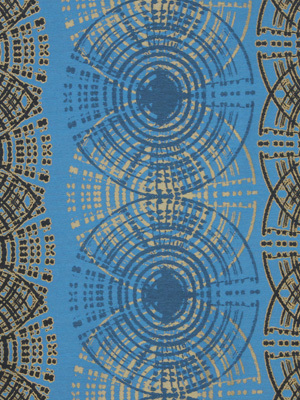 The patterns on these fabrics can be different than what you find in your typical decorating or fabric store; they often come in trendier colors and more modern designs. Contract furniture is also made to be extra-durable, as it is intended to take the abuse of a commercial space. However, be aware that while it may be durable, it is not typically made to be super-comfortable. After all, how much time do you spend in the waiting room chairs at your dentist’s office? Compare that to the amount of time you spend in your favorite living room chair, and you will see why comfort is not the top priority for most contract furniture. Keep in mind that many contract fabrics and furnishings are available only through the interior design trade, so you will need to find a local designer to purchase them for you. However, some of the best properties of contract fabrics have also made their way into residential items; think, Sunbrella outdoor fabrics. 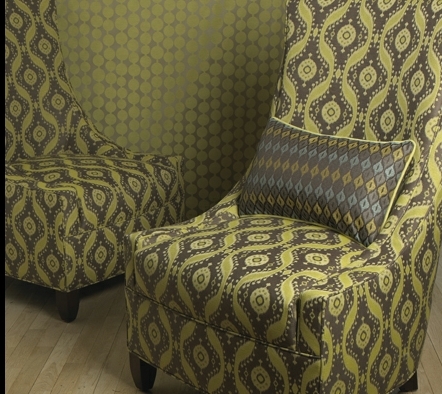 The Crypton brand name is another one to be aware of, as these fabrics are very durable and can be easily cleaned. You will also find wallcoverings intended for the contract market. While they are rarely available to the general public ( most are to the trade only), they are often made of vinyl and are very durable. Their metallic finishes and heavy embossing make interesting options for a home interior – definitely not what you find at your local paint store! Next time you are surfing the web looking at furniture and fabrics, take a peek at the ‘contract’ items, too; you may find something unique and perfect for your home. What Does “COM” or “COL” Mean?